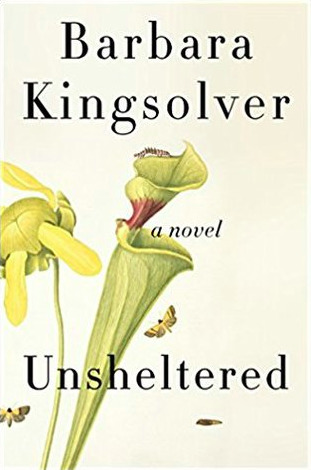 Unsheltered by Barbara Kingsolver – publication date October 16th, 2018 by Harper. A science teacher with a lifelong passion for honest investigation, Thatcher finds himself under siege in his community for telling the truth: his employer forbids him to speak of the exciting new theory recently published by Charles Darwin. Thatcher’s friendships with a brilliant woman scientist and a renegade newspaper editor draw him into a vendetta with the town’s most powerful men. At home, his new wife and status-conscious mother-in-law bristle at the risk of scandal and dismiss his financial worries and the news that their elegant house is structurally unsound. 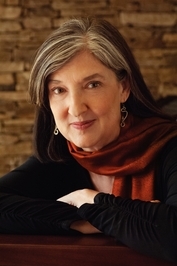 About the author: Barbara Kingsolver is an American novelist, essayist, and poet. She was raised in rural Kentucky and lived briefly in Africa in her early childhood. Kingsolver earned degrees in Biology at DePauw University and the University of Arizona and worked as a freelance writer before she began writing novels. Her most famous works include The Poisonwood Bible, the tale of a missionary family in the Congo, and Animal, Vegetable, Miracle, a non-fiction account of her family’s attempts to eat locally. Her work often focuses on topics such as social justice, biodiversity, and the interaction between humans and their communities and environments. Each of her books published since 1993 have been on The New York Times Best Seller list. Kingsolver has received numerous awards, including the UK’s Orange Prize for Fiction 2010, for The Lacuna and the National Humanities Medal. She has been nominated for the PEN/Faulkner Award and the Pulitzer Prize. After graduating from high school, Kingsolver attended DePauw University in Greencastle, Indiana on a music scholarship, studying classical piano. Eventually, however, she changed her major to biology when she realized that “classical pianists compete for six job openings a year and the rest of [them:] get to play ‘Blue Moon’ in a hotel lobby.” She was involved in activism on her campus and took part in protests against the Vietnam war. She graduated with a Bachelor of Science in 1977 and moved to France for a year before settling in Tucson, Arizona, where she would live for much of the next two decades. In 1980 she enrolled in graduate school at the University of Arizona, where she earned a Master’s degree in ecology and evolutionary biology. Kingsolver began her full-time writing career in the mid-1980s as a science writer for the university, which eventually leads to some freelance feature writing. She began her career in fiction writing after winning a short story contest in a local Phoenix newspaper. In 1985 she married Joseph Hoffmann; their daughter Camille was born in 1987. She moved with her daughter to Tenerife in the Canary Islands for a year during the first Gulf war, mostly due to frustration over America’s military involvement. After returning to the US in 1992, she separated from her husband.